Taking control of either Claire Redfield or Steve Burnside Resident Evil Survivor 2 Code: Veronica this one player title offers two distinct gameplay modes ? Dungeon and Arcade. 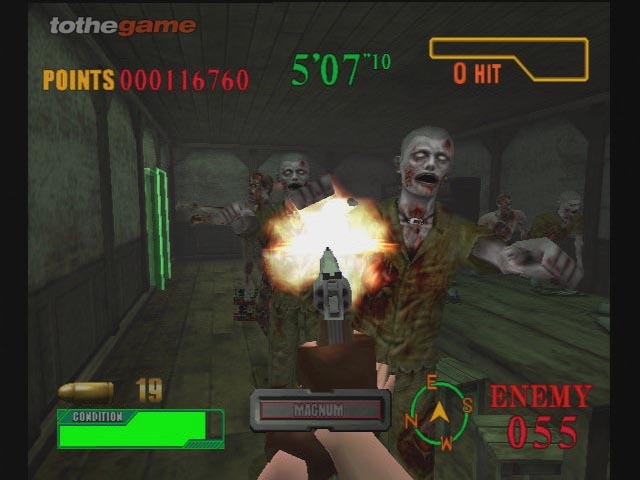 Both modes offer light gun support, including the G-Con 2 from Namco, although the game can be played using the standard Dual Shock 2 controller. In Arcade Mode, the aim is simple, escape from Rockfort Island. 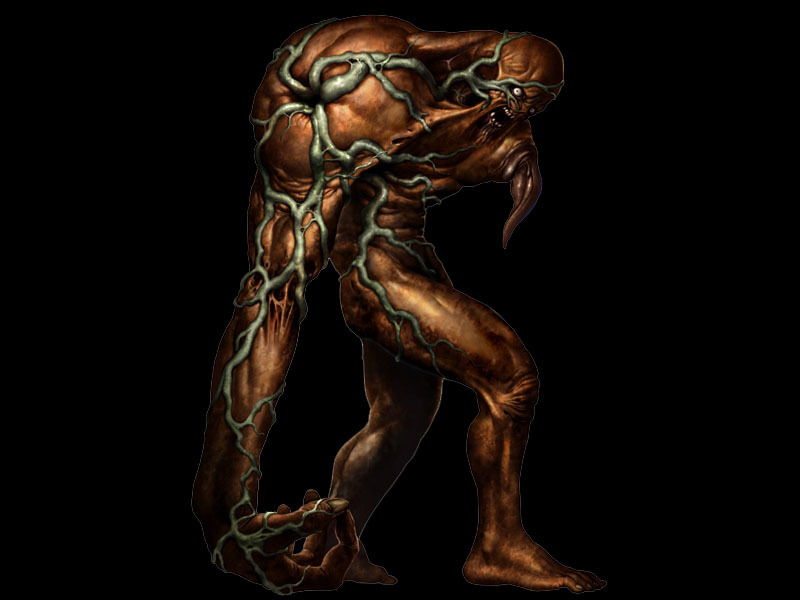 The route to safety is split into stages with completion of each sector dependant on finding a key and defeating the boss character lurking in the area it opens all within a defined time limit. 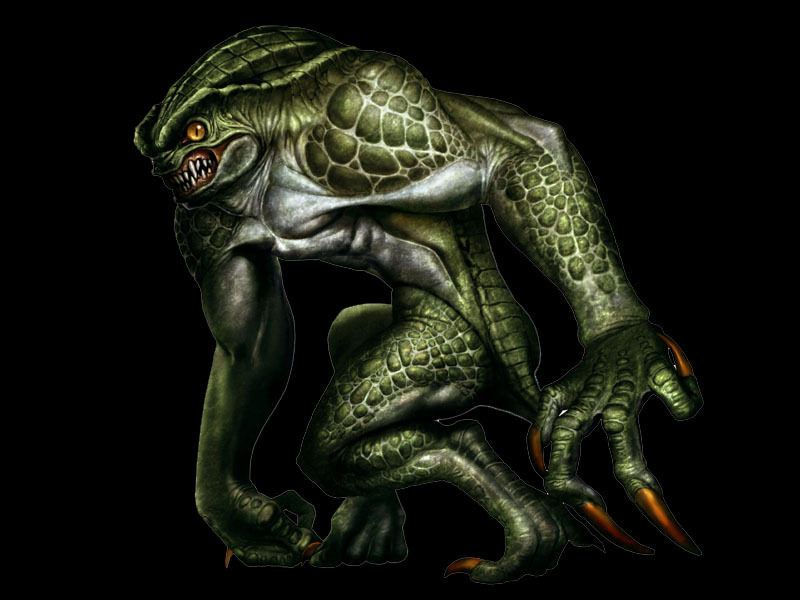 In addition to the bosses players must face an assortment of mutants from Zombies to the deadly Bandersnatch and Nemesis. If players find things too tricky, Arcade mode offers assistance via the Partner System. 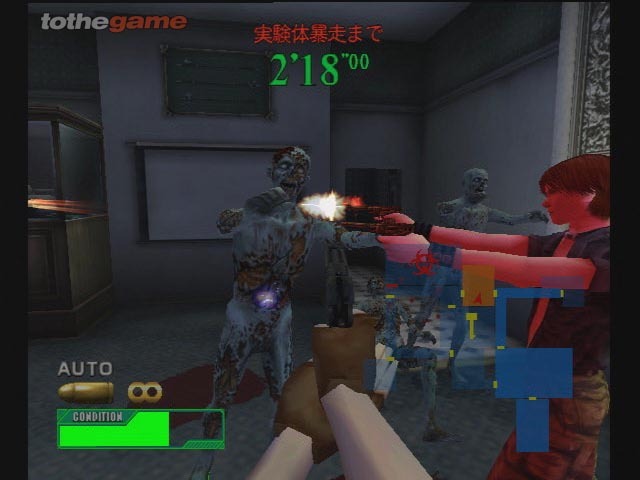 This allows players to team up with a computer-controlled character to provide cover when the action heats up. If gamers select Claire then she will be partnered by Steve and vice-versa. Without the assistance of a partner, Dungeon Mode pits players against successive waves of enemies. 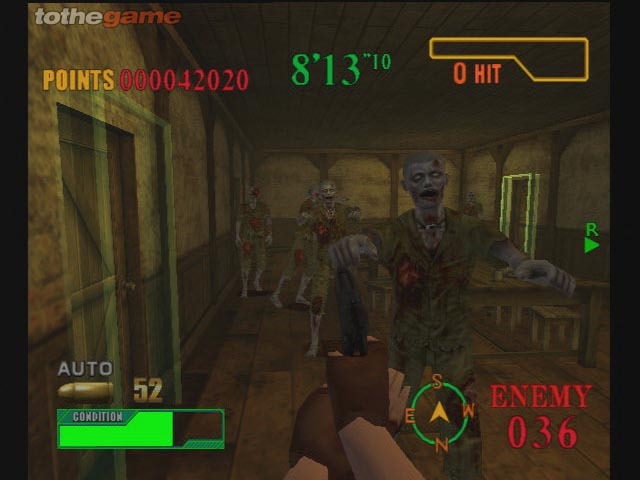 Completion of a mission is once again determined by defeating a boss, but the more zombies and mutants defeated the greater the overall mission score. Time is also crucial in this mode. Each time an enemy is defeated a Combo gauge appears and the player must defeat another enemy before this gauge runs out in order to receive an additional combo score. If players are quick and accurate enough then the combo will keep multiplying resulting in some huge scores. To compensate for the lack of a partner, both Claire and Steve can select three weapons to take on the waiting zombies. 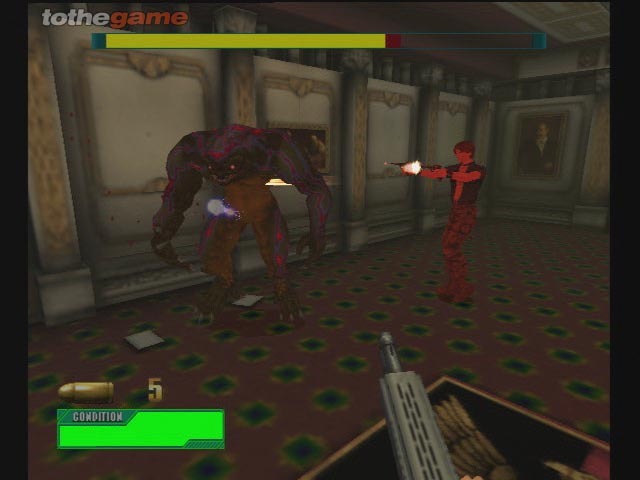 Some weapons can be chosen by both Claire and Steve, while others such as the Magnum or the Grenade launcher are restricted to an individual character.